AMORPHIS are one of the most successful finnish bands. Founded in 1990, the band had its breakthrough with songs like "House of Sleep". 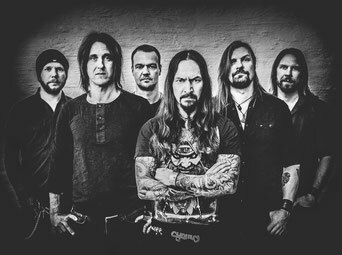 Famous for their live skills, AMORPHIS played all the big metal festivals and never left the stage without getting a huge applause. With Tomi Joutsen the band chose in 2005 their new singer who masters the gutural and clean vocals both - a combination which is typical for the unique AMORPHIS sound. You better not miss them at RockFels 2018!